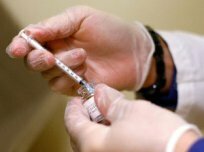 It will soon cost you less to purchase your Botox and all other cosmetic procedures in New Jersey. “N.J.’s ‘BoTax’ falls as Gov. Christie signs repeal. Trenton, N.J. — New Jersey Gov. Chris Christie has signed a bill that repeals and will phase out the state’s 6 percent “BoTax” — the nation’s first such tax on cosmetic procedures. Click here to read the full article in Cosmetic Surgery Times.